A man visited the used-vehicle department of Adams Chevrolet in Wetaskiwin, Alta., on May 30 and was considering two trucks. Instead, he's alleged to have stolen them. A number of vehicles stolen from a pair of Alberta auto dealers has the has the Motor Dealer’s Association of Alberta warning its members to be vigilant when dealing with customers. The association says a man visited the used-vehicle department of Adams Chevrolet in Wetaskiwin, Alta., on May 30 and was considering two trucks. 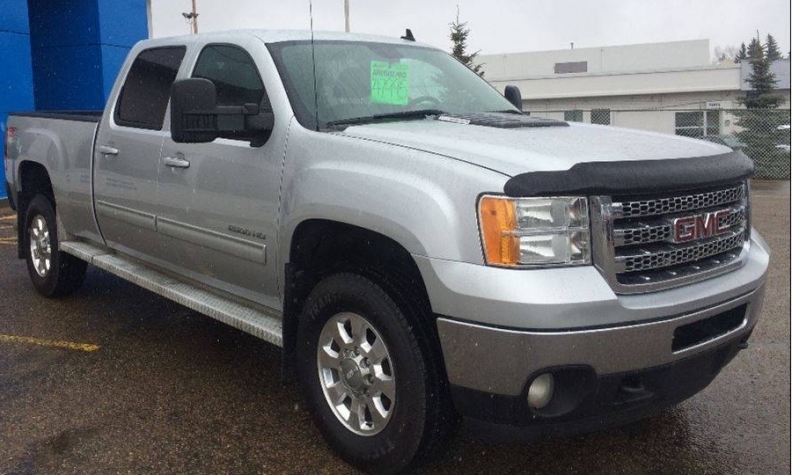 The man sat in and started both a silver 2014 GMC Sierra diesel and a black 2015 Ford F-350, but didn’t drive them from the dealership about 70 km north of Edmonton. Instead, he returned what staffed believed to be the keys to the two trucks before leaving, the dealers association said. However, the keys were fakes, complete with the dealer tags from the original keys. The man and a second suspect were seen later on security footage coming back in the early morning hours and driving away with the trucks, reported Global News. “The MO in this case is similar to many other thefts over the past year in Alberta. The switching out of key fobs is not new,’ Motor Dealer’s Association of Alberta President Dennis Ducharme said in an email to Automotive News Canada. Wetaskiwin RCMP confirmed to Automotive News Canada that another dealership was hit June 1 when a single vehicle was taken. “I suggest that salespeople, upon showing of vehicles to consumers, ask for the key fob before leaving the vehicle and verify by locking and unlocking the vehicle to verify that the fob has not been switched,” Ducharme said. It’s been a busy year for police investigating vehicle thefts from dealerships. In March, police in Ontario seized nine high-end and luxury cars and arrested two people in an ongoing investigation into a complex auto-theft ring that is targeting new- and used-auto dealerships and rental-car companies. In April, 19 stolen vehicles worth a total of $650,000 were intercepted by the Canada Border Services Agency (CBSA) at the Port of Halifax.